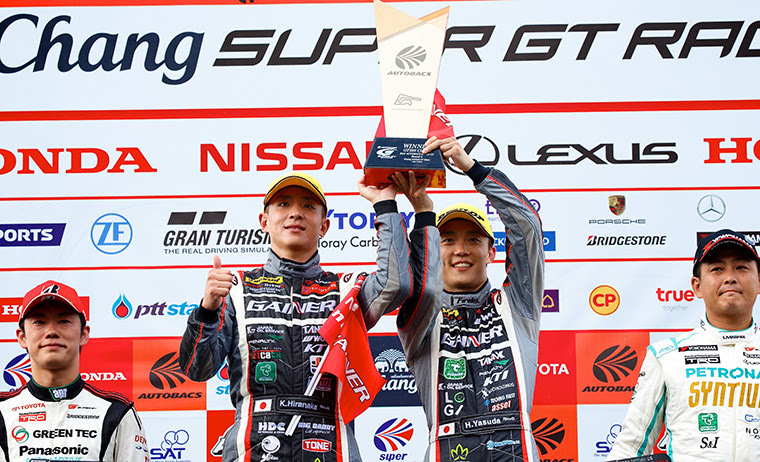 BURIRAM, Thailand – Nissan has taken its first GT300 Super GT victory of the year with the 2018-spec Nissan GT-R NISMO GT3 victorious in Thailand. The No, 11 Gainer Tanax GT-R of Katsuyuki Hiranaka and Hironobu Yasuda won at the Chang International Circuit and grabbed the championship lead. Read the complete release here on Nissan Motor's global newsroom.